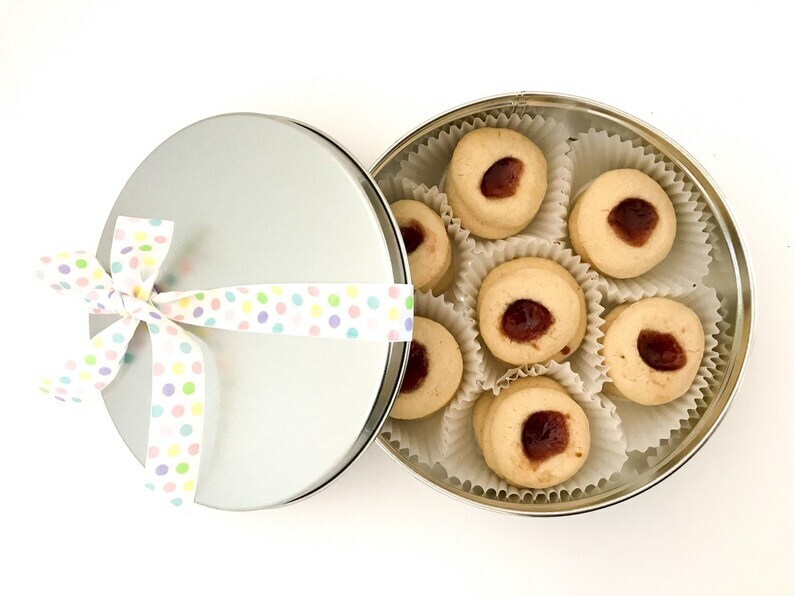 Our rich Raspberry Thumbprint cookies are made from scratch when you place your order. Each cookie is rolled by hand and then filled with sweet raspberry jam. Handcrafted from my Irish grandmother's recipe, these cookies are sure to be a hit for any special occasion. We use only the finest ingredients and make all our products by hand in small batches.